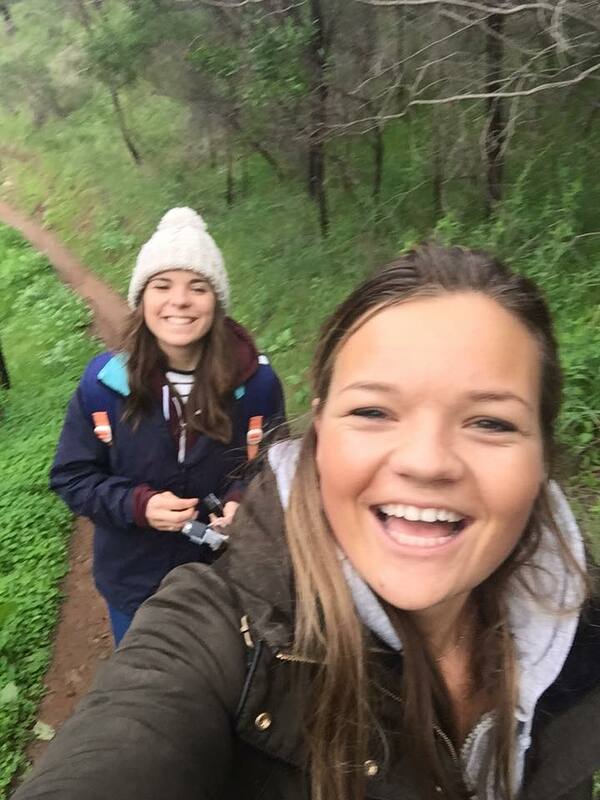 So I have had a crazy first week of being a University of Adelaide student and I have LOVED it. On Sunday morning we all headed down excited for pancakes but it ended up just making us want more! One man, Ron, was left to cook all the pancakes on his own and after telling us it was his second time making them and being given a burnt pancake we decided this wasn’t going to suffice (he tried). So we were recommended a 24/7 pancake kitchen so we searched it out and it ended up being just around the corner. Safe to say I was in food heaven. It was a massive place and served sweet and savoury pancakes which were just incredible. I went for the Canadian Breakfast which was two big thick pancakes with whipped butter, bacon, eggs and tomatoes aka perfection. After we filled our stomachs (what girls do best) we decided to try hunt down some of the op (charity) shops. A few of the girls were in need of some more layers as Australia does get cold to most peoples surprise so we all shopped around. They have lots of discount shops here where they sell goods cheaply that have damaged packaging etc so this was good for all of our home essentials. We then headed off to finally do our first food shop at Coles, we were all brimming with food we couldn’t carry it all. In the evening I met up with my buddy, the University has an ESN (exchange student network) program where incoming students are offered to be paired up with a buddy who is a University of Adelaide student who has gone on exchange elsewhere. So I headed out for dinner with my buddy, Regan, and two other students who were also paired up with him who were from Germany and Denmark. We went to a burger restaurant called Grill’d, amazing food and you get a little token at the end like at Waitrose where you choose a charity they will donate money too. It was great finally meeting my buddy and hearing things about Adelaide and Australia etc and was also lovely meeting the other students. Monday brought my first day of being a University of Adelaide student. A few of the girls I’ve met here from England are also studying Geography so we are all doing one module in common which we had this morning, its called Global International Migration which is super interesting considering Aus is such a multicultural country. 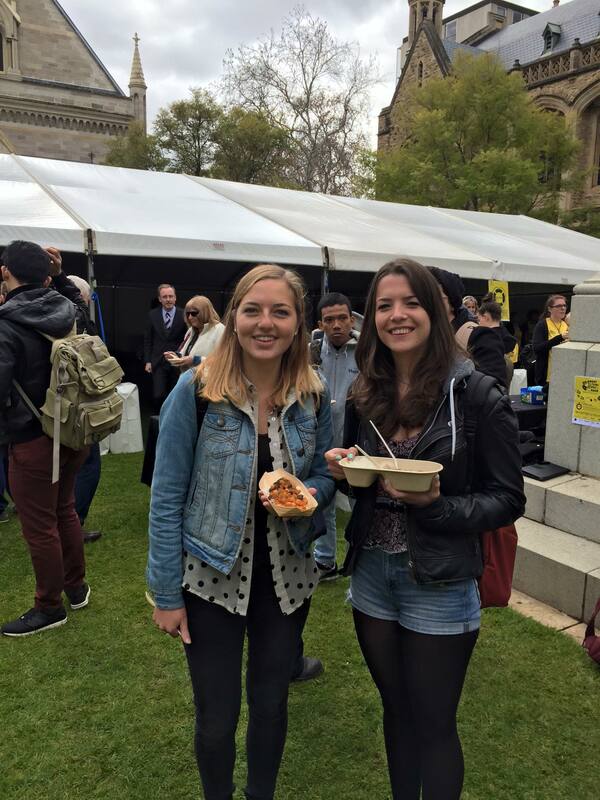 There was a free lunch on campus (yes another) which was arranged by a charity called ‘ozharvest’ it was basically a charity promoting reducing food waste which I think is great. They had turned donated and left over food into vegetarian food such as pasta and curries to aim us to take a pledge to be more aware of food waste and to raise awareness of the charity. 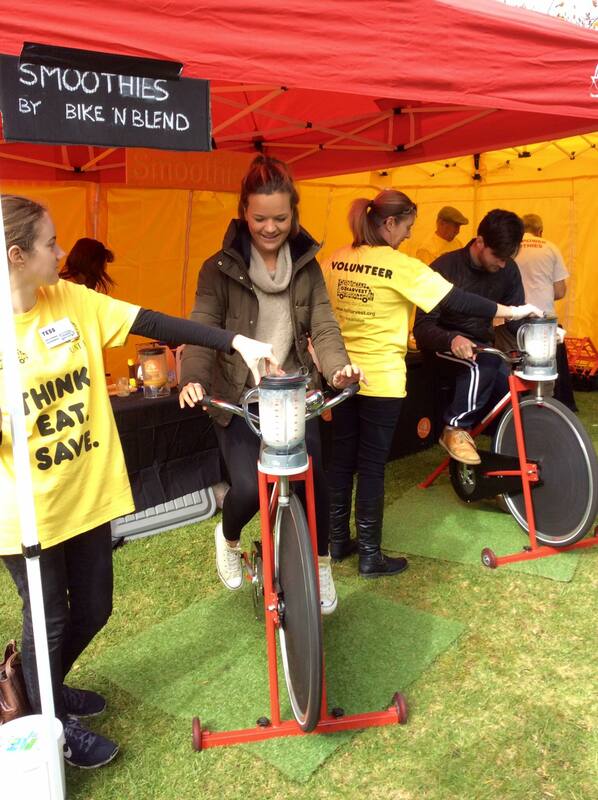 We then cycled on a bike to make a smoothie which was amazing! Then to finish it all off they were walking around with scones with jam and cream which was such a slice of home. I ran into my buddy and a few other friends here so it was a nice little lunch. I then had my first stats lecture whcih was pretty daunting. It was super mathsy and they were using all different functions so after a few more lectures, practicals and speaking to the lecturer and my exchange coordinator in Southampton I’ve decided to change modules so hopefully the new module will be better. So my first day of uni was over! I met up with a few of the girls on campus to head into Rundle Mall together for some bits then home for my first dinner cooking in the flat!! Tonight was the final of Masterchef so well all congregated in the social area for the mammoth of an episode and Billie won so we were all happy. Tuesday morning I had a meeting to discuss my dyslexia support whilst I’m out here and to arrange my alternative exam arrangements etc so that was a good job done. Then after an afternoon of Uni I headed home to start some uni work, it was super weird sitting down to do some work in July! One of my friends lives with an Aussie girl and she was heading out for Taco Tuesday so we joined her. Two tacos for $4, bargain! We then headed back to the social area and watched Friday the 13th and then to lighten the mood we whacked out the sharpies and paper and all wrote our Bucket lists for the trip. Wednesday was a day of uni and then sorting out my stats module. Each day this week different societies and sports had stalls in the hub for sign ups. 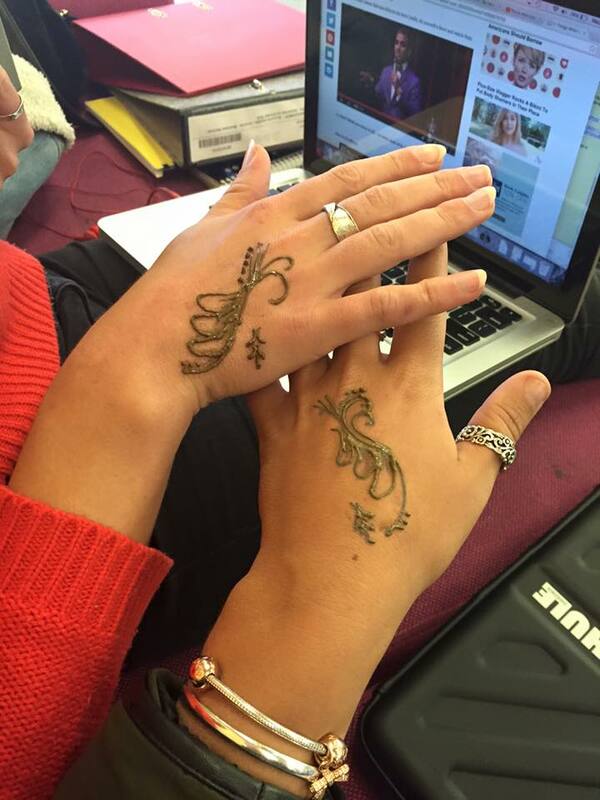 Today it was political and cultural groups and they were offering free henna so a few of us got henna done on our hands which was cool! 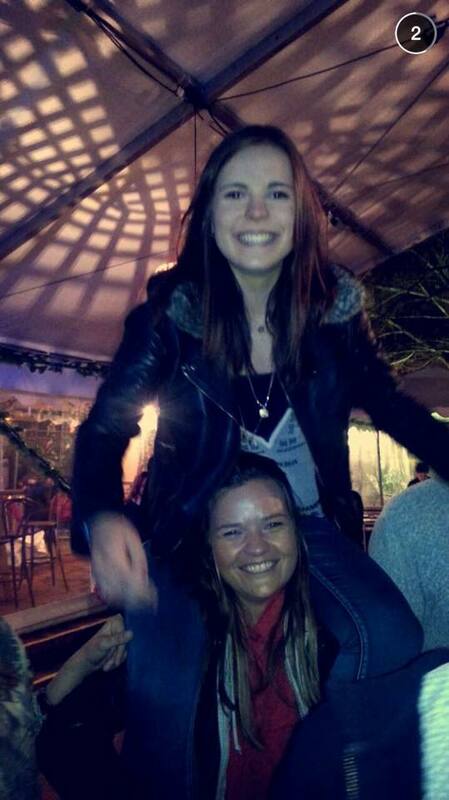 My friend Allie and I stayed on campus and attempted to do uni work. After craving a vegetable cous cous we went home via coles for some ingredients. It was a lovely evening so we decided to head out for a run before we made dinner. So myself, Allie and her flat mate Veronique who is French Canadian headed out for a run along the river. 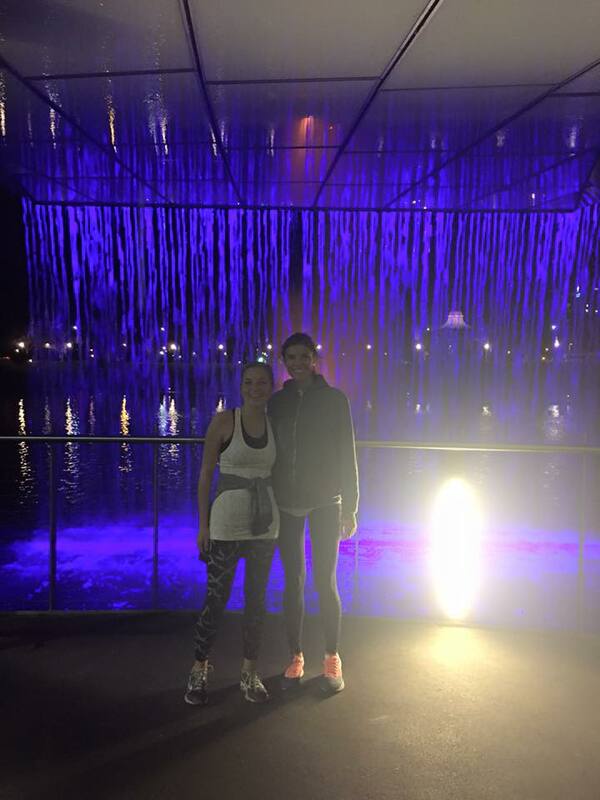 We ran 4km and went down the river past the Adelaide zoo where we heard some animals roaring (super cool) then over the bridge then back again. 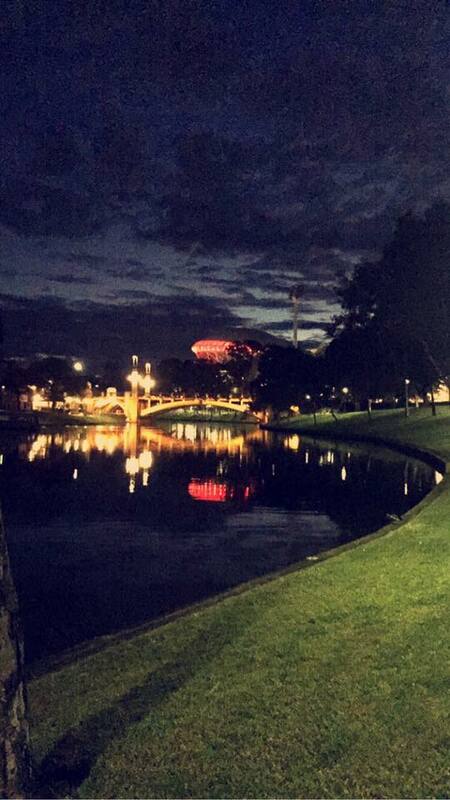 It was so beautiful to see the river at night and was nice to see a bit more of where we live. I went over to Allies for dinner and we cooked sooo much cous cous, had a lovely evening chilling with her flat mates! 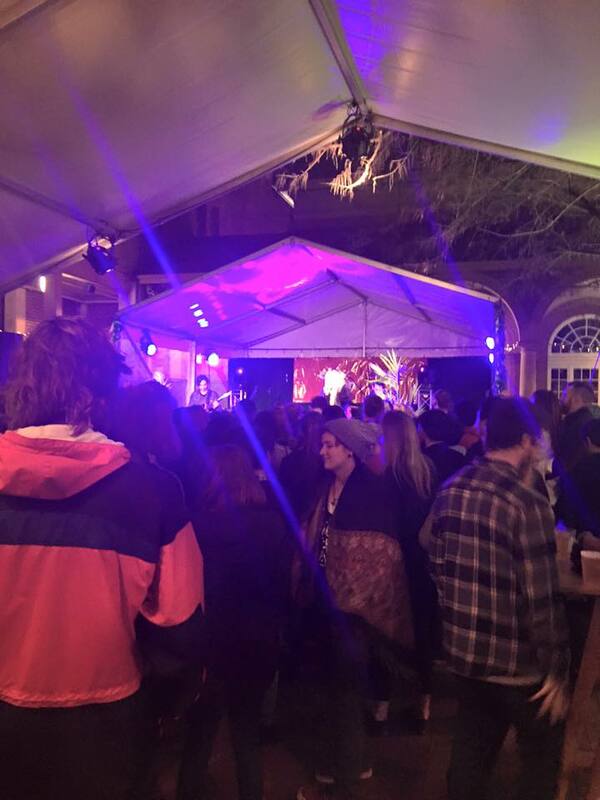 Thursday was the ESN free buddy bbq on the lawns at uni, there was a kangaroo selfie competition on Instagram from the wildlife trip and I won with three other people so I got a free drink at the bbq wahoo! We then went to the sport sign ups in the hub, unfortunately rowing didn’t have a stand there, but we found waterskiing and signed up! They advertise day and weekend trips and you sign up for them as and when you want to do it, so I’m super excited for that. After some lectures the evening brought another night out. 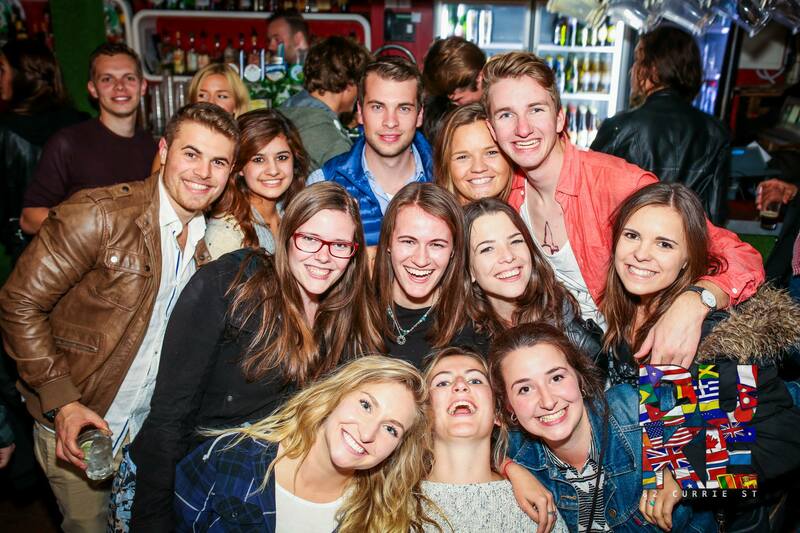 This time it was the ESN welcome party at the Duke and I had the BEST night. There was live music which started off with a really good guitarist and then followed a band which played covers of so many amazing songs. Plus we had free pizza, wedges and spring rolls and super cheap drinks. It was great to meet more people and more Aussies who had been on exchange and then it ended up with everyone just crazy dancing into the early hours. I woke up feeling slightly fragile this morning so Taylor and I spent the morning recovering watching the Internship and chilling. There was a big uni event on this evening called the cloisters which we had brought tickets for. After a bit of pre drinking downstairs we headed over, it was a little quiet compared to what we expected but it was really cool. It was like a mini festival with tents decorated in flowers. Our ticket included food, I went for the paella and it was gorgeous! The drinks here were quite pricey so we decided to head back to our accomodation Urbanest to drink some more with everybody then come back later for the acts. The acts included DJs and ASTA who is like a younger Sia, she was really good and I was glad we went back when the event was busier. We then headed out to the club London again and met the rest of the group. It was a hilarious night and we even ended up in Adelaide casino which was an experience. Weekend hoorah! On our O (orientation) week it was recommended to us to head to the Central Market on Saturday afternoons as this when they slice all the prices as the market is closed on Sundays and Mondays. So a group of us headed to the market with our bags at the ready and it was mad! It was heaving and we kept bumping into other students we knew, it was such a student hub. All the stools were shouting their offers and tables were going up in front of the stools where they put the produce on which was super cheap. We all got so much fruit and veg which was so fresh and super cheap, we will definitely be making this a regular occurrence. On the way out I was walking down one strip and a market owner waved a bag of bananas twice the size of my head at me and shouted $1, shocked I just went for it! We then experienced our first tram experience back home, the trams within city here are free which is great. We had met some friends from Leeds University here who have rented houses right by the beach for the year and they were hosting a house warming bbq party tonight! So we brought some buns (a change from the usual bread that Aussies use in bbq’s) and sausages in town then after a quick change we headed to Glenelg on the tram and found our way. It was a great evening and was really cool to see their place, will be even nicer in the summer too! 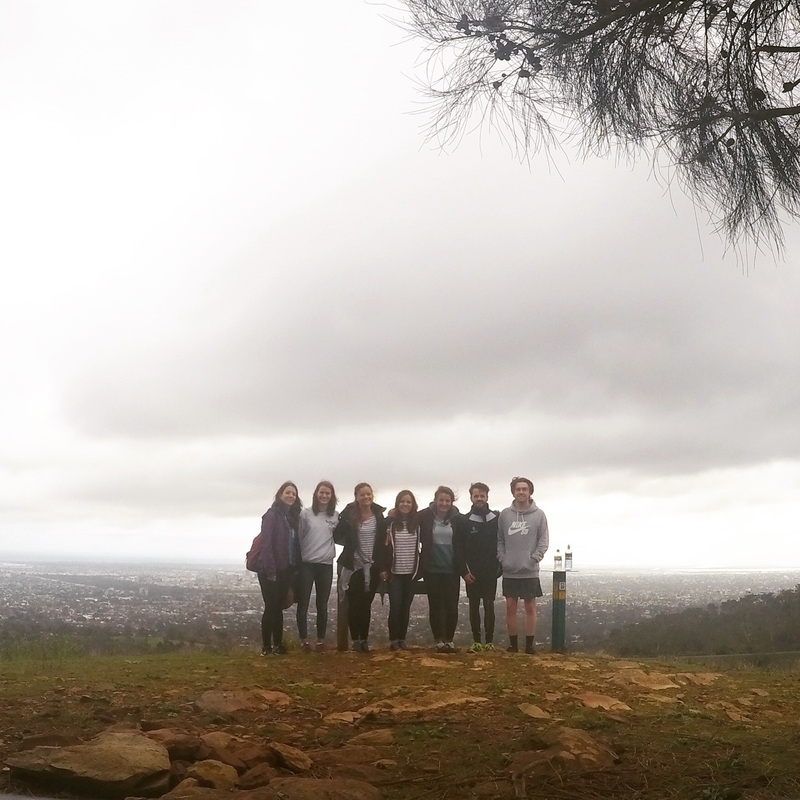 Today, Sunday, we had planned a day trip hike to Mount Lofty which is the highest view point in Adelaide. The girls I met with my buddy last Sunday had done it last weekend and had recommended it me so I put it to the group. Last night at the party we met some Aussies who live in the hills and were up for it too so they kindly offered to pick us up from the bus stop. So we ventured out to find the bus we needed then headed out to the hills. It was really cool to see the hills and be in a different part of Adelaide. The guys picked us up in their cars and drove us to the foot of the hill and then off we went. It was such beautiful scenery and the view was amazing. We ended up climbing the mountain beside lofty as at the summit of lofty there was a cloud disrupting visibility. The mountain was so lush and green and it was amazing to look down onto the city. After working up an appetite the guys drove us into a local town Norwood and we all headed for another burger, delicious! We then bussed it back and am currently sat at my friends flat with a hot chocolate and a packet of tim tams. Previous Post Week 1: First week down under! Ah really, I love it here it’s such an amazing uni! That’s great, always in Barr smith!